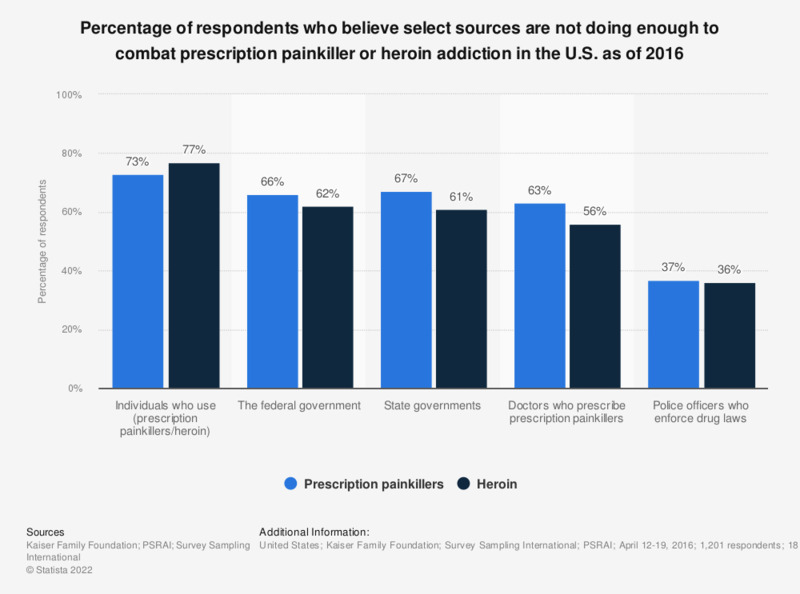 This survey shows the percentage of respondents who think that select sources are not doing enough to combat the recent increase in people who are addicted to prescription painkillers or heroin in the U.S., as of 2016. It was found that 63 percent of respondents felt doctors responsible for prescribing prescription painkillers were not doing enough to combat painkiller addiction. Percent who think each of the following are not doing enough to combat the recent increase in people who are addicted to prescription painkillers or heroin. Note: Questions asked of seperate half samples.